A clear goal is one feature that sets successful business leaders apart from the rest. This video demonstrates how those in a leadership position benefit from having an established vision and mission for their business and their employees. Though it can seem as though the business world and the battlefield are drastically different arenas, when it comes to leadership approach, managers, supervisors, and CEOs can all benefit from the lessons of battle. A successful leader, according to Sun Tzu in The Art of War, is one with a clear vision; objectives should be apparent and planning should be thorough and careful. This video looks at how a leader's vision for his company and his employees improves chances for success and establishes a clear mission for any business. Interviews include Dame Anita Roddick of the Body Shop, who always maintained her vision of supporting human rights, even while selling shampoo. 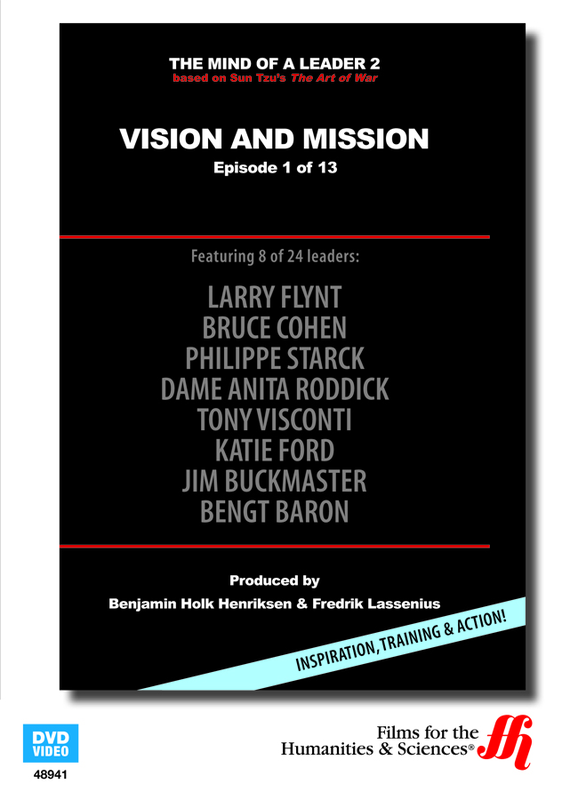 Other business leaders discuss their own missions in business and the visions they hold for their companies, including Larry Flynt, Philppe Starck, Jim Buckmaster, Katie Ford, Bruce Cohen, and Bengt Baron. 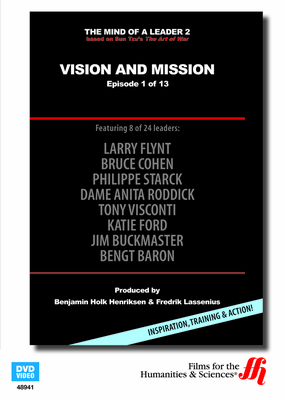 This video is part of the Mind of a Leader 2 series and has a 21-minute run time. It is closed captioned for the hearing impaired.